Hope all is well in the vintage Subie world! Looking for help with shipping of a car that was once mine, and now is again. A quick summary: I'm a professional car designer, and spent some time years ago when I designed for Nissan, making this lovely, albeit tired, little DL into a real nice car. We worked on the car at the design studio, and went so far as to replicate colors, patterns and textures when we were unable to find originals. Recently, I was contacted by the current owner of the car, after he discovered the scholarship I created for LGBT design students from my winnings on a reality TV show called "Motor City Masters." (More on that here, if interested) http://www.bryanthompsondesign.com/philanthropy/ He offered to return the car to me, and I am so excited to have it return to my stable. This little lemon yellow sedan was always one of my favorite projects. In short, I am looking for a creative, inexpensive way to get the car from Tampa Bay, Florida to my home in Los Angeles. I could go the route of traditional shipping, but am hoping we may find someone with a shipment headed out this way, or close enough to California, that I could collect the car and drive it home. Please see photos here, https://www.flickr.com/photos/149618...h/16743322533/, and thanks in advance! Re: My pristine 1978 Subaru DL is coming home! Have you tried UShip? I've found a few people on there to transport cars for me that had what you described, dead space on a regular haul. Thank you! Looking into it. Hoping for a good bid, or possibly coming upon an empty truck coming this way I can have it piggyback onto..
Well, after more than a month, and a stop over at my mechanic down in San Diego, the little yellow boomerang Subaru is home again. He'll need some work to pass emissions, and it's been an interesting and expensive journey, but I love that the car has come back. Will be fun to spruce him back up again as well. 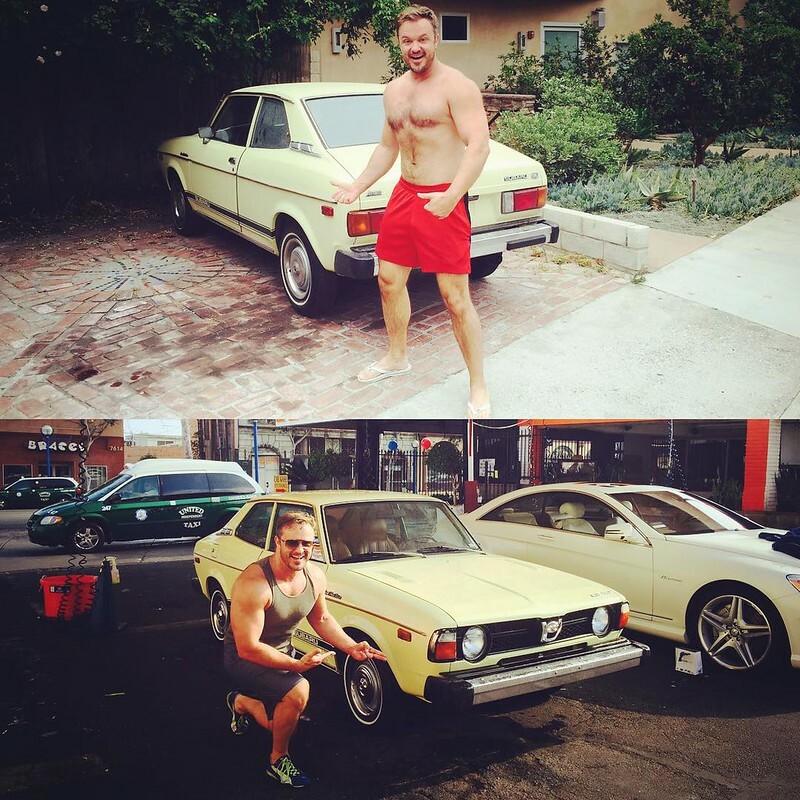 Anyone with a trustworthy mechanic in Los Angeles that knows these cars, please do advise. Sweet ride! Definitely don't see many of them, even in L.A.
sup bryan! glad to see you're still into the jnc scene! btw didn't you have another forum account years ago? or? Thanks Matt! I'm not sure if I had another account; If so, I've lost the info! I just scored a Tercel too, though. Its in the Toyota garage. This is exciting! I'd been jealously admiring pictures of your car on the net--never thinking I'd meet the owner--long before I joined this forum. What a beauty! I wouldn't trade my Datsun B210 for anything, but if I were able to embark on a second project, a Subaru sedan from this period--or possibly a wood applique wagon--would be at the top of my list of dream cars. How we can use It with https://mobilerecorder24.com/track/phone/free.html track phone free on Android, and can teach how to improve skill in this application?